Concerned about running out of nuclear fuel, India is creating a strategic uranium reserve to ensure that its atomic reactors can keep producing electricity without interruption. “The reserve pool could be anywhere between 5000 MT to 15,000 MT which can last for 5-10 years,” The Times of India reported on Sunday, quoting a senior government official. Nuclear represents a relatively small portion of baseload power for densely populated India. The country operates 20 mostly small reactors with a capacity of 4,780 megawatts or two percent of total electricity capacity, according to the Nuclear Power Corporation of India Limited. However the government is hoping to increase that to 63,000 MW by 2032 by adding 30 reactors, at an estimated cost of $85 billion, Aljazeera reported in 2014. India is actively seeking agreements with foreign powers in order to reach that goal, on top of the nuclear agreements it currently has with 11 countries and deals to import uranium from Russia, France and Kazakhstan. In April of this year Canada and India inked a $350 million uranium supply deal that will see Saskatchewan-based Cameco Corp. (TSE:CCO) (NYSE:CCJ), the world’s largest publicly traded uranium miner, provide fuel for Indian reactors. The deal formally ends a long-dragged dispute that began after New Delhi used Canadian technology to develop a nuclear bomb in the 1970s. 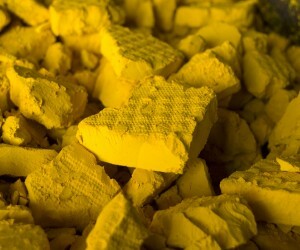 Cameco will supply 7.1 million pounds (3.22 million kilos) of uranium concentrate to India over the next five years. In 2014 Australia signed a nuclear deal to sell uranium to India for civilian purposes, despite the country not ratifying the nuclear non-proliferation treaty. And in March of 2015, India and Russia inked a contract to provide enriched uranium for the Tarapur Atomic Power Station, located in the western state of Maharashtra.